Elevate Your Listening Experience With The Razer Mano'War 7.1 Gaming Headset. Featuring An Advanced 7.1 Virtual Surround Sound Engine And Superior Sound Isolating Plush Circumaural Ear Cups, This Comfortable Headset Puts You Right In The Middle Of The Action. The Extra-Large, High Quality 50Mm Drivers Provide You With Undisputed Audio Realism While The Fully Retractable Mic With Inline Volume Controls Ensures You Can Effortlessly Coordinate Team Strikes To Secure Victory. Arm Yourself With The Advantage Of Absolute Immersion With The Razer Mano'War 7.1 And Enjoy The Thrill Of A Well-Executed Victory Every Time. 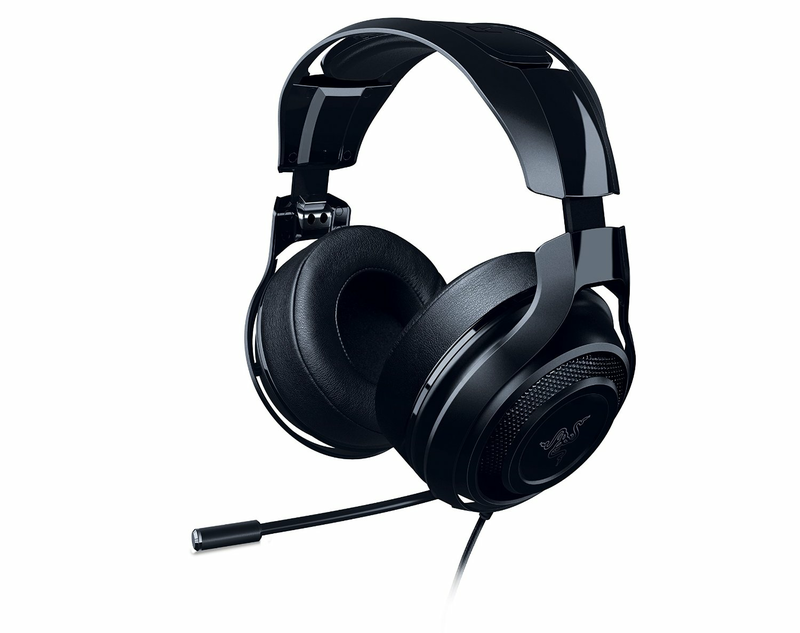 Advanced 7.1 Virtual Surround Sound Engine The Razer Mano'War 7.1 Comes Equipped With A Proprietary 7.1 Virtual Surround Sound Engine Designed From The Ground Up To Immerse You Deeper Into The Game. Experience True-To-Life Positional Audio As The Usb Adapter Processes Audio At Ultra-Low Latency And Modulates The Audio Source To Simulate An Impressive 360° Surround Sound Experience. Powerful Drivers And Sound Isolation For Immersive Gaming Audio The Razer Mano'War 7.1 Offers High Fidelity Gaming Grade Audio Through Its Extra-Large 50 Mm Custom-Tuned Drivers. A Closed Ear Cup Design With Plush Circumaural Padding Creates Superior Sound Isolation So You Can Focus On The Game Without Being Distracted By Ambient Noise. In-Line Controls And Fully Retractable Microphone For Easy Access Control Game Volume And Mute The Analog Mems Microphone With The In-Line Remote Without Fumbling In The Middle Of Battle. Flexible And Fully Retractable, The Microphone Boom Not Only Pulls Out From The Left Ear Cup As You Need It, But Also Gives You The Freedom To Adjust It To Your Exact Needs For Crystal Clear Communication.